Three months ago, way back in May, we kicked off the summer here by discussing appropriate bubblies for the Memorial Day weekend. Now that Labor Day is approaching, and with it the end of summer, I thought this would be a good time to bring things full circle and finish off the season with a bang. Or, rather, with a pop. This is not a coincidence: Champagne, as I’ve noted here a thousand times before, is a wine for all seasons and for every occasion. And while most consumers still insist on reserving the festive pop of a Champagne cork for special, celebratory moments, great bubbly is one of the most versatile wines in the world, and should be considered in the same context as still wine in terms of when to open a bottle. Which is to say, all the time. From a food-pairing standpoint, few wines are more versatile than Champagne. The bubbles cut right through fat and oil, the nuttiness of a nicely aged bottle pairs perfectly with deep-fried foods, and the generally high acid allows Champagne to partner with virtually everything on the table throughout the year. I recently had the chance to taste two bottlings from the always-excellent Champagne Nicolas Feuillatte, and though they exist at opposite ends of the sparkling spectrum from one another, they both possessed exactly the sort of qualities that make them optimal choices as we slide into the holiday weekend. 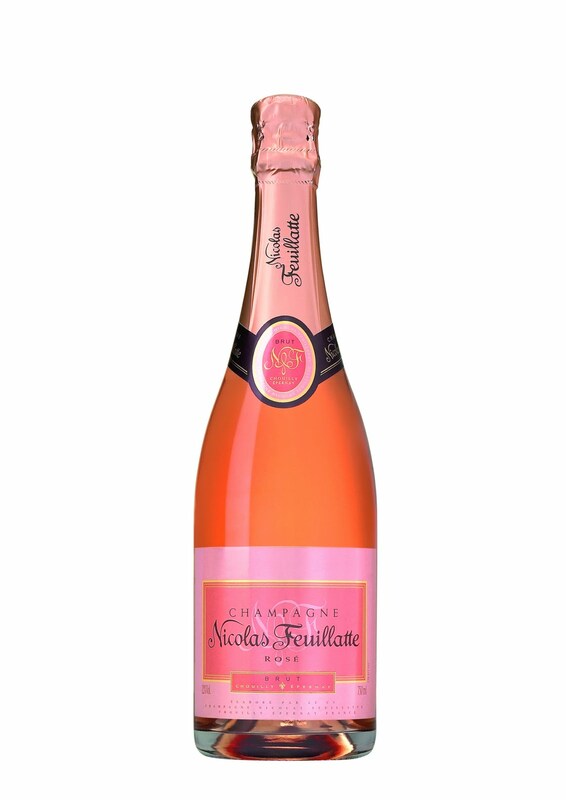 The Nicolas Feuillatte Brut Rosé smells like nothing so much as a perfect breakfast of toast with strawberry jam, a handful of red cherries and other red berry fruit, and a touch of cream. That berry fruit follows through to the palate, though here with an added note of pastry, in the guise of some sort of perfect berry cobbler. The texture is creamy, the finish practically vibrates in its brightness, the fruit is clear and well-defined, and there’s just the slightest complicating hint of underbrush on the finish. Great balance and a sense of exuberance make this bottle perfect for the holiday weekend. The Nicolas Feuillatte Brut Blanc de Blancs 2004, on the other hand, is a Champagne cut from a different mold. Its nose of graham cracker, toasted Jewish apple cake and cheese cake, warm hazelnuts, and ripe seckel pears evoke a more autumnal feeling: Perfect, again, for this transitional time of year. Still, the palate shows classically bright blanc de blancs acidity and a marvelous structure, the fruit bursting with orange, fresh lime, green apple, and a nod in the direction of Creamsicle. It has a lot of time left to keep on evolving, but it’s drinking beautifully right now. The finish sings with lemon and mandarin orange peel, and the Chardonnay’s minerality and transparency are on full display throughout. I’d buy several to follow over the next 10+ years.